Introducing our second boat, the Carpe Vita, the upgraded sistership of the Carpe Diem. 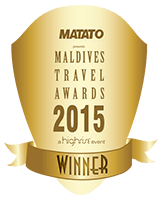 The Carpe Vita meaning “Seize Life” was built in the Maldives by the same person, Amir Mansoor, as the Carpe Diem. 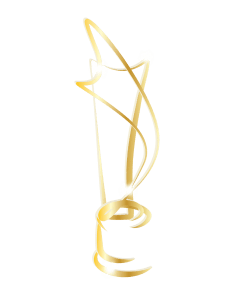 The Carpe Vita started operations in 2011. 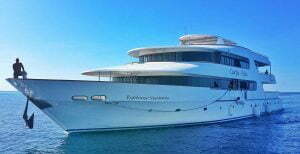 The Carpe Vita with her 38 meters in length is bigger than the Carpe Diem, but still catering for a maximum of 20 people. With 10 cabins divided over 3 decks providing a lot more space. 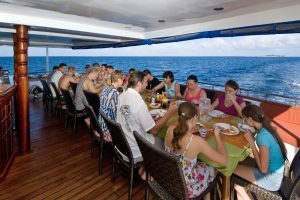 The Carpe Vita like the Carpe Diem caters for dedicated scuba diving, wave surfing ,fishing and tailor made trips for both individuals as well as groups. The Carpe Vita provides standard 4 dives a day on her dedicated scuba diving trips versus 3 on the Carpe Diem and offers some different itineraries from the Carpe Diem. The MV Carpe Vita is a luxury 38 m long motor safari yacht with a wooden hull. 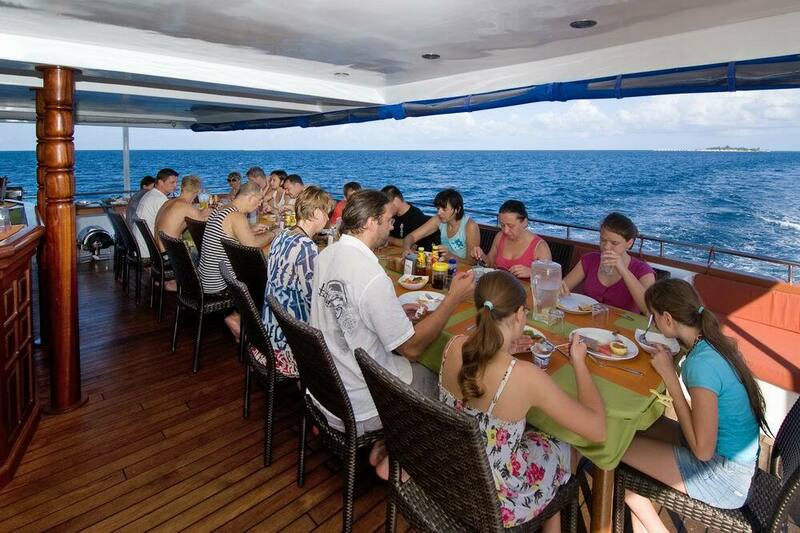 Like the Carpe Diem she has a total of 10 cabins divided over 3 decks and can cater for a maximum of 20 divers. AC acclimatised lounge/restaurant area, with a coffee / tea /buffet table offering you coffee/tea throughout the day. It also has a wide flat screen TV, DVD/MP3 player, in house sound system, library and comfortable sitting area with plug points for laptop use. Outside in front of the lounge area there is another sitting area in the shade with comfortable cushions, where you could have your afternoon tea while cruising and taking in the beautiful colours of the Indian Ocean. Business centre with internet and all business centre facilities. Our beautiful and very spacious two VIP Suite rooms. Main open air dining area and bar where you will be served semi buffet meals prepared by our fine dining chef while enjoying our fine selection of (non) alcoholic beverages. From the dining area a staircase ultimately leads you to a spacious sun deck, which is partially shaded and has a Jacuzzi and a sitting area in the middle and some lounge chairs to catch that nice tan. Bow: Wonderful sitting area in the shade in front of the captains wheelhouse upper deck. Dhoni : Very spacious diving dhoni with Nitrox system and toilet with hot water shower. Lounge: Share your dive stories in a cool acclimatised social area. Sundeck: Enjoy the sun or shade and “hot tub” while sipping on one of our great cocktails. The Carpe Vita has 10 comfortable cabins of different standards divided over 3 decks. The different cabin types are VIP suite (2), Superior (2) and standard (6). All cabins have individually controlled AC, safety deposit boxes and their own private bathroom with toilet and hot water shower. The electricity voltage on board is of 220V and the plugs are of 3 pins UK type. The two spacious VIP suite cabins (nos. 1 and 2) have king size (California) beds which can be separated in two super single beds (39 inches), a wide flat screen TV plus DVD/HD player, desk/chair/dresser, two hanging closets, windows throughout the side of the cabin, bathroom with dual sink, bath tub and separate shower cubicle. The two superior cabins (nos. 3 and 4), located on the main deck have king size beds which can be separated in two super single beds and desk/chair/dresser, hanging closet, large windows, private ensuite bathroom and shower cubicle. A total of 6 standard cabins, nos. 5 – 10 are located on the cabin deck below the main deck. All cabins have one queen size bed and a super single bed, desk/chair, dresser, private ensuite bathrooms with showers. All standard cabins have portholes. Bow: Two lines of text mentioning location and characteristic(s) of the cabin. 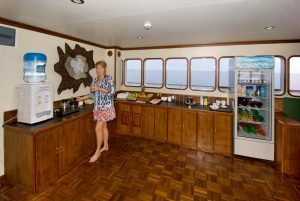 Cabin Suit: Two biggest cabins in our fleet, located on upper deck with bath tub and shower. Cabin Superior: Total of two, located on the main deck and window views. 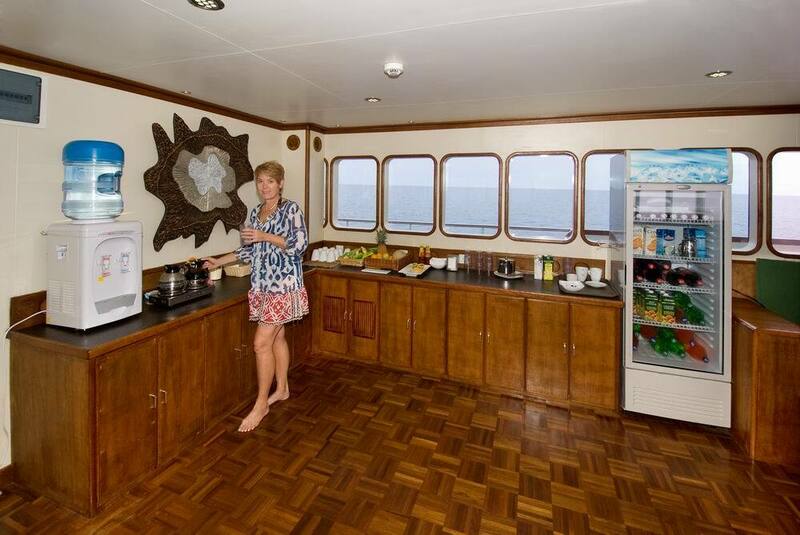 Cabin Standard: Located on the lower deck, total of 6 standard cabins each with a double bed and single bed. For those who want to know how many liters of fresh water we make per day on our trips and other fact sheet figures: visit our “geek section”! Click here. Your journey to Carpe Vita is just a step away.